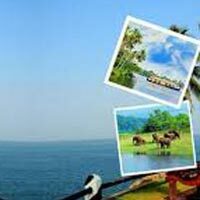 Begin the fun and delight of your family vacation in Kerala with your arrival in Cochin. Following your arrival, you will be cordially received and greeted by our tour guides and representatives. Hereafter, they will guide you to the gorgeous hill station called Munnar. Once you arrive in this hilly retreat, the entire family will be checked-in into a hotel or a resort. Relax and get freshened up in your new abode and spend the rest of the day at total leisure followed by your overnight stay. Welcome the day with a gala breakfast along with your family and embark on a delightful sightseeing tour around the hill station. During the day, you can visit popular tourist spots and places like Echo Point, Gundala Lake, Photo Point, Elephant Arrival Spot, Cinema Shooting Point, Mattuppetty, and Jungle Honey Bee Nest..
During the other half of the day, you can visit Eravikulam National Park, the soaring Anaimudi Peak, Tata Tea Museum, Historical Church, Blossom Hydel Park, Headworks Dam, Spice Plantation, and Pothamedu. Come evening, you will be guided back to the hotel/resort for your overnight stay.. While holidaying with family members, you must spend time in the lap of Mother Nature! And with today’s post breakfast drive to Thekkady, your entire family will get plenitude of time to have a tryst with the bountiful nature. Arriving in Thekkady, check-in into a hotel/resort and unwind yourself. Post this, you can go for a sightseeing tour around some of the tribal villages and evergreen plantations. Post this; by evening, you can embark on an evening boat ride in the Periyar Lake and enjoy the fascinating sites of the Periyar National Park. Returning to your hotel/resort, spend the evening at total leisure followed by your overnight stay. 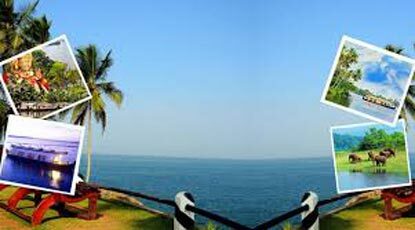 Today morning; after having breakfast, pack your bags and take your family members to the ‘Venice of the East’ or Alleppey. The backwater capital of Kerala, this gorgeous holiday destination in God’s Own Country is known for its silent backwaters, houseboat cruise, azure canals, picturesque coconut groves and lot more. Arriving in Alleppey, check-in into a delightful houseboat, and embark on an exciting backwater cruise with all your family members. Manoeuvre over the silent backwaters till the evening, and as the boat anchors down beside the shores, relinquish yourself into the hands of the pristine nature followed by your overnight stay. After spending candid moments in Alleppey, today you can treat your family members with a drive to Kovalam. One of the most popular beach destinations in Kerala, Kovalam is the place where you can witness the playful waves of the Arabian Sea cuddling the white sands! Arriving in Kovalam, visit the Kovalam Beach, and enjoy some of the most exciting beach activities. While in this sandy retreat, the entire family can enjoy sunbathing, swimming, herbal body massages and much more. With the advent of the evening, check-in into a beach resort and retire for the night. Waking up in the morning, enjoy a delicious breakfast with the family and pack your bags for a day tour to Kanyakumari or the ‘Land’s End Point of India’. During your journey to gorgeous town, you can visit the 15th century Padmanabhapuram Palace built by the Maharaja of Travancore and the holy Sucheendram Temple. Arriving in Kanyakumari, you can behold the captivating beauty of the confluence of Indian Ocean, Arabian Sea and the Bay of Bengal. Post this, take a boat ride to the Vivekananda Rock Memorial, where Swami Vivekananda used to meditate and also received enlighten. With the completion of these visits, you will be driven back to Kovalam for your overnight stay. Today, after having breakfast with your family members, wish adieu to the untouched beauty of Kerala and take a drive to Trivandrum. Arriving in the city, you will be dropped at the Trivandrum Airport; with this, your family vacation in Kerala will come to an end.